Nothing adds fun and excitement to an event like live animals. 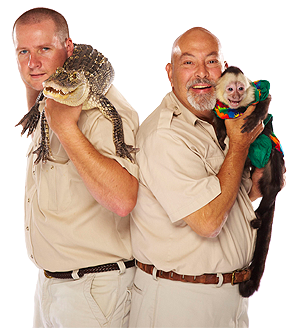 For more than 40 years, Animal Rentals Inc. has been bringing smiles to millions of children and adults through our animal shows, petting zoos and other unique animal experiences. Our animals are very tame and lovable, as are most of our trained, knowledgeable, and professional handlers! Whatever your special event, we will adapt our services to create an animal encounter to remember. Animal Rentals, Inc. is licensed by the USDA and fully insured. We have performed over 10,000 animal shows across the country, and our animals have been featured in various print and film work. From animal rides and special events to exotic animal shows and petting zoos, we offer a wild life experience like none other. Please remember to book early. Our services are provided on a first-come, first-serve basis. We look forward to providing your animal entertainment needs.